I’ve a treat for you today, dear Imps. 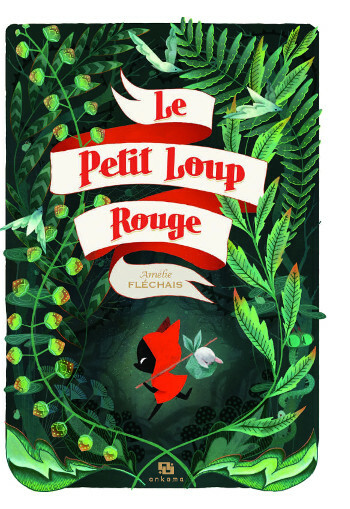 Over the weekend, I was lucky enough to see an early copy of a book coming to shelves this Fall from Lion Forge Comics/CubHouse, Amélie Fléchais’s The Little Red Wolf, originally published in French in 2014. 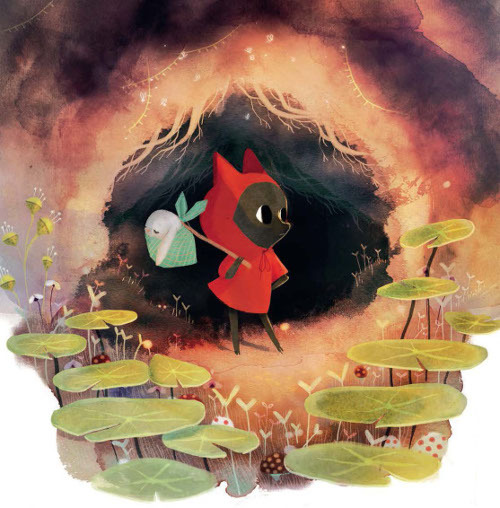 The English edition of this story, which turns the classic “Little Red Riding Hood” tale on its head and features a wolf in a red cape, was translated by Jeremy Melloul. I’ve got a BookPage review of Isabelle Arsenault’s newest picture book, one she both wrote and illustrated. 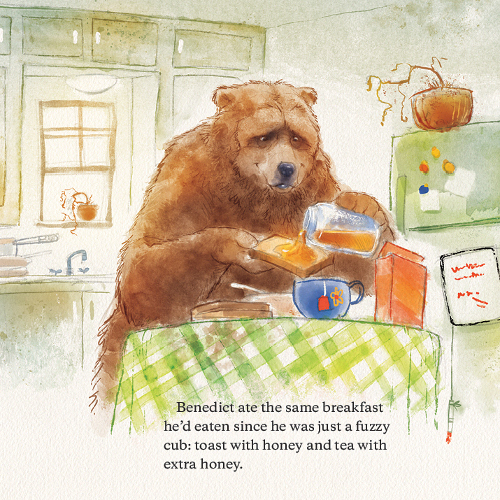 Colette’s Lost Pet was just released (Random House); my review is here over at BookPage; and I’m following up with some art from the book here at 7-Imp today, thanks to Isabelle. Today over at Kirkus, I’ve got colors on the mind. 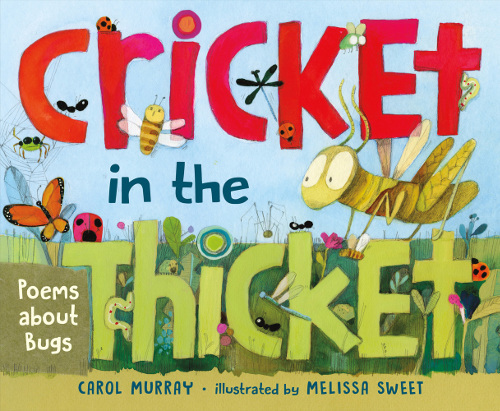 Last week, I wrote here about three picture books that won’t be on shelves till the Fall, but I like them so much that I couldn’t help myself. 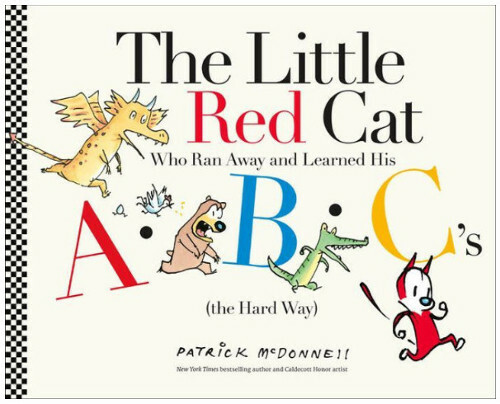 Today I’m following up with some art from those books, so you’ll see illustrations here from Patrick McDonnell’s The Little Red Cat Who Ran Away and Learned his ABC’s (the Hard Way) (Little, Brown, September 2017); Barb Rosenstock’s Vincent Can’t Sleep: Van Gogh Paints the Night Sky (Knopf, October 2017), illustrated by Mary GrandPré; and Mac Barnett’s I Love You Like a Pig (Balzer + Bray, September 2017), illustrated by Greg Pizzoli. Greg also shares some preliminary images below. I’ve got a BookPage review of Rowboat Watkins’s Pete With No Pants, released by Chronicle Books in early May. 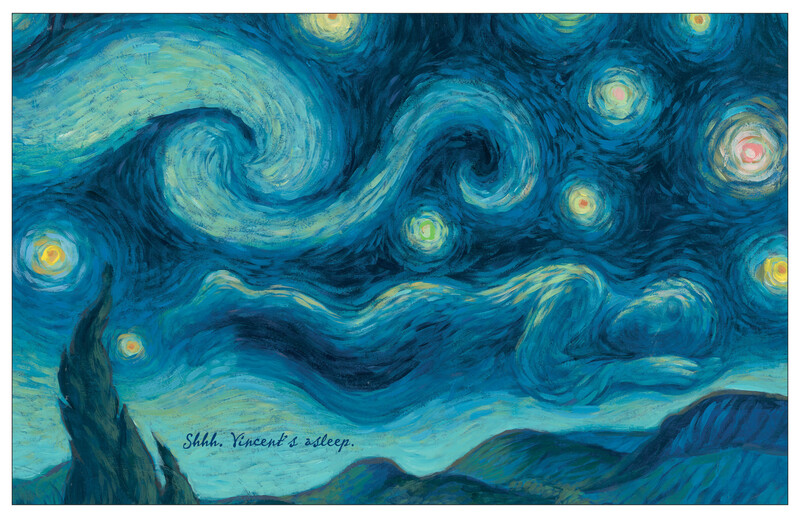 I love this book, and you can read why at my review over here at their site. 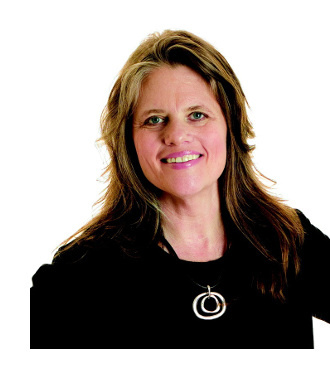 But there’s more: I chatted with Rowboat about this book. He shares his thoughts about the story and its meaning for him, and the discussion opened my eyes to the book in new and wonderful ways. 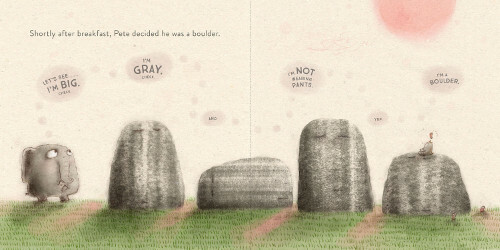 Let’s get right to it, and I thank him for visiting 7-Imp again. I’m doing something a little bit different today. 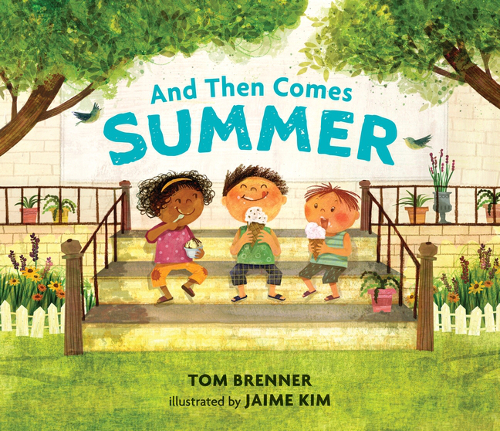 I have two picture book reviews over at BookPage to which I’m sending you, if you’re so inclined to read them — Tom Brenner’s And Then Comes Summer, illustrated by Jaime Kim (Candlewick, May 2017)—that review is here—and Carol Murray’s Cricket in the Thicket: Poems about Bugs (Christy Ottaviano Books/Henry Holt, May 2017), illustrated by Melissa Sweet. That review is here. I don’t know about where you live, but here in Tennessee, school is wrapping up. In fact, this week is the last week for my own daughters, and everyone is ready for summer. Both of these books are just right for this time of year. Sometimes I can’t help but do a little preview of what’s to come in the world of picture books. 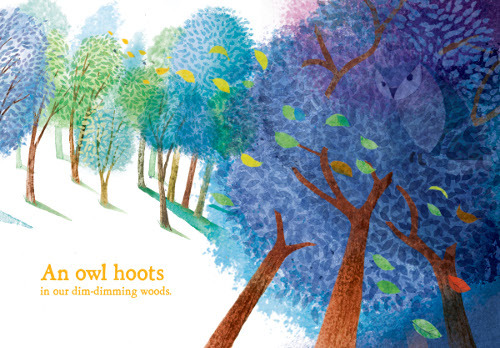 Today at Kirkus, I do just that, taking a look at three upcoming Fall picture book releases, including the one pictured above. 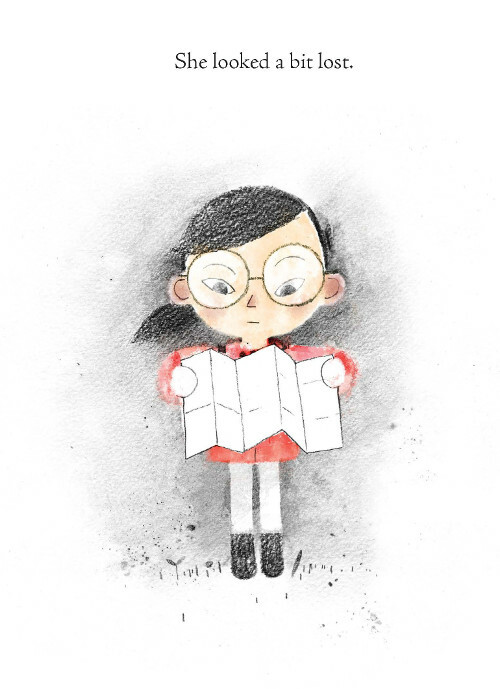 Last week over at Kirkus (here), I wrote about Gerald Kelley’s Please Please the Bees (Albert Whitman & Company, April 2017); Kyo Maclear’s The Fog (Tundra, May 2017), illustrated by Kenard Pak; and Richard Jackson’s All Ears, All Eyes (Caitlyn Dlouhy/Atheneum, March 2017), illustrated by Katherine Tillotson. 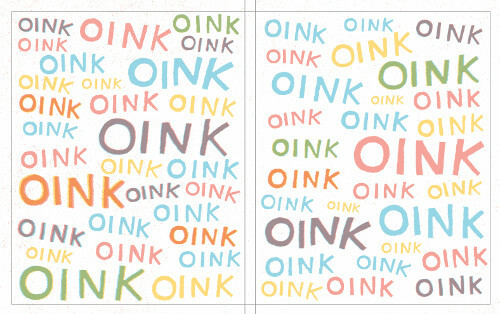 Today, I’m following up with some spreads from each book. While I like all of these books, my favorite of the lot is Jackson’s and Tillotson’s book, which is simply gorgeous (a word I try not to overuse). I’m saving it for last in this post. I hope you enjoy those spreads as much as I do, and indeed, I hope you enjoy all of the art here today. 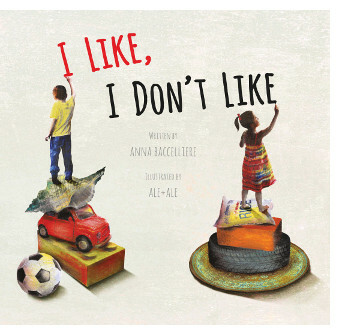 Here’s a quick post to share some art from a striking new picture book on shelves, Anna Baccelliere’s I Like, I Don’t Like, illustrated by Ale + Ale (Eerdmans, March 2017). Ale + Ale is Alessandro Lecis and Alessandra Panzeri, Italian artists who have a studio in Paris. I’m a school librarian by training, and though I’m freelance writing now and not currently in a school library, that school-librarian part of my brain gets excited when I see books like this. That is, I think about teachers who may need particular books at different moments in their curriculum throughout the year. Those teachers wanting to talk to students about child labor—and, really, I’d use this book with middle schoolers or high schoolers too—would be wise to pick up a copy of this. You kickers may remember me featuring a book back in February, called If I Had a Little Dream (Paula Wiseman Books). 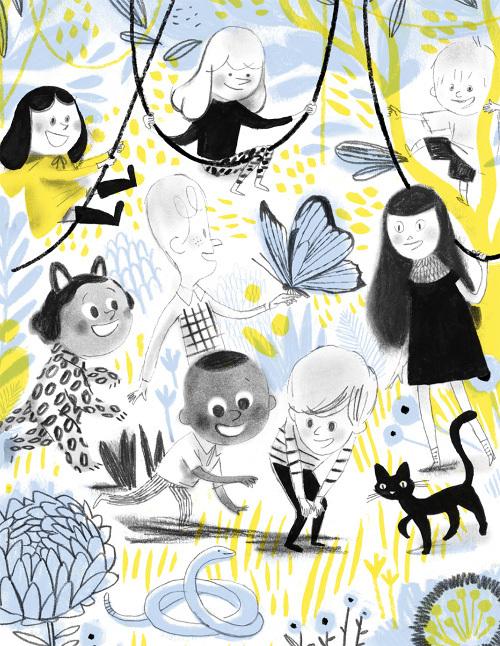 It was written by Nina Laden, and I featured some of Melissa Castrillon’s artwork from it—and linked to my BookPage review of it—here at 7-Imp. 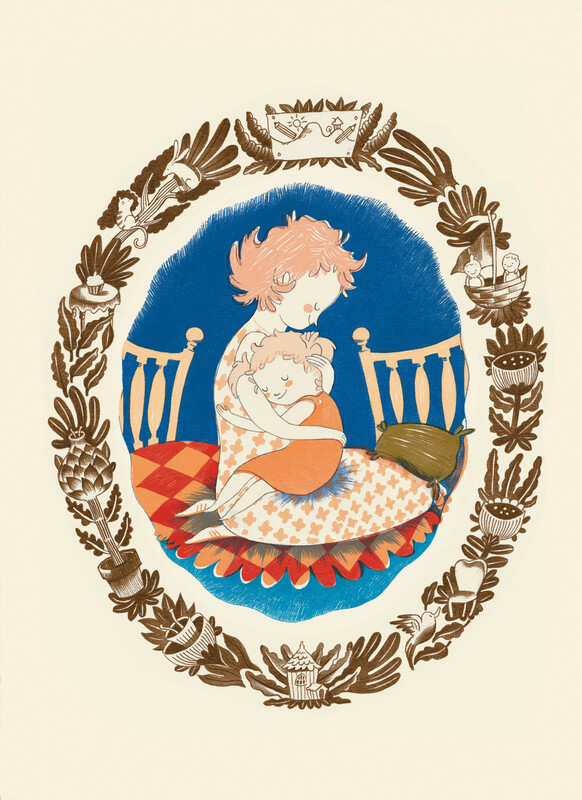 When I was wondering which artwork to feature today, Mother’s Day, I thought of the last page of that picture book — and managed to get that illustration to share with you here.